A Twin Flame experiences a strong spiritual attraction. 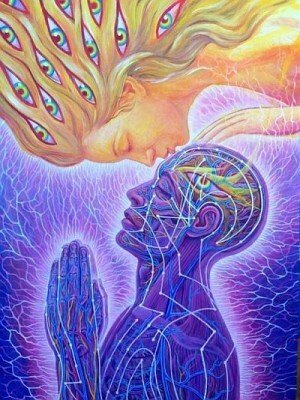 Twin Flames have a main purpose of assisting humanity shift their consciousness. Twin Flames face many obstacles in their relationship to heal all their personal emotional baggage. I had four major relationships in my 30’s. I had few relationship skills as a result of being codependent and sorely lacking in knowing how to express my emotions. These relationships ended painfully. 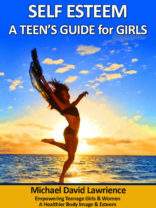 Yes, as karmic soul mate relationships, in spite of the pain, I progressed in my personal growth. With the ending of the fourth relationship, however, I decided because of the pain I no longer wanted a relationship for the rest of my life. I believed myself incapable of loving. So unlike these who seek a Twin Fame, I had never heard of this type of relationship. Neither my personality or my soul had any yearning to find the perfect love as described for some in Twin Flame stage 1. I met my Twin Flame, Lyn, after living in Los Angeles for 15 years and then returning to Canada the country of my birth. When I first met her in Toronto Ontario to teach a weekend healing seminar before returning to Los Angeles, I felt no attraction. In a group of 30 strangers, Lyn recognized me right away once I brought the healing energy through me. She said nothing to me at the time. She waited to see if I would recognize her. Lyn, like me, knew nothing about Twin Flames. She like me had also given up on relationships as they turned out to be so unsatisfying. With the overwhelming success of the first healing seminar, two months later I returned to teach a second healing energy seminar. At the end the two days, Lyn and I hugged. I felt a sense of expanding into the Universe and coming home in her arms; two souls recognizing their connection and completeness. People have a fantasy that a Twin Flame relationship consists of all roses and bliss. The reality, however, remains that Twin Flame relationships involved some of the most demanding and challenging work of any relationship. Every facet of the personality needs attention and commitment to polish it eventually into a sparkling diamond. Lyn and I both came from families of five children with two girls and 3 boys. We both were the eldest child. I had an alcoholic father; Lyn had an alcoholic mother. We both learned to survive by becoming codependent and being over responsible for others. We both suppressed our emotions and expression of our feelings. We both struggled as adults to overcome the genetic conditioning of our family lineages. I had energetically and emotionally taken on my father’s feelings of anger, shame and unworthiness. Lyn unconsciously carried her father’s self-doubt and her mother’s grief and victim consciousness. As children, Lyn unconsciously took on the mother role in her family as I unconsciously took on the father role in my family. 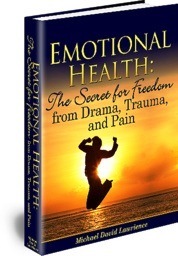 We have experienced conflicts and frustrations as we mirrored the others emotional and mental wounds. Fortunately, both of us have gifts as Energy Healers to assist each other heal our personal karmic patterns. Again fortunately, we have never had the phenomena of the “Runner” and the “Chaser” where one person flees in fear and refuses to face and heal their karmic patterns. Lyn and I were married for 17 years before we heard of Twin Flames and realized this applied to us. We both had a desire for spiritual growth which kept us bonded in spite of all the turmoil of facing and healing our individual personality patterns. We also realized, as we gained awareness of being Twin Flames, that we had a common goal of assisting the Earth and humanity to evolve in consciousness. We experience a connection beyond the soul level. It is Logoic at the Divine level of consciousness. We connect at the universal level, the I AM, where all is One. 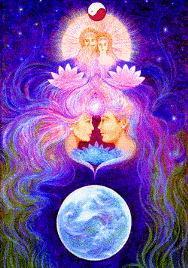 In a Twin Flame relationship, you become more consciously aware of the power of Twin Flames. You have tremendous power to create and manifest once you can transcend your personality. In the transcendence you touch the hand of the God. Then the Divine through you creates. This is bliss. Pairs of Twin Flames around the world are destined to meet and create together for the Good of the Earth and humanity. Their power expands exponentially the greater the number. Good job! A very well thought out article.